Michy Batshuayi’s two goals against Newcastle on Sunday helped Chelsea into the fifth round of the FA Cup – but it may not be enough to save his Stamford Bridge career. 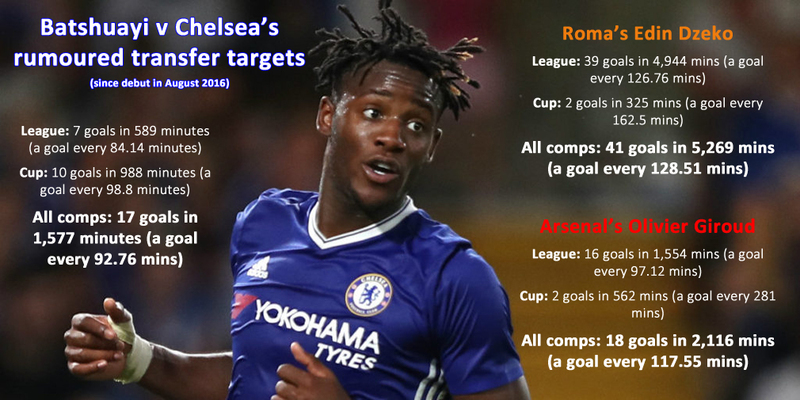 Despite boss Antonio Conte’s insistence that the Belgian does still have a future with the Blues, Batshuayi has been linked with a loan move to Sevilla while Chelsea have reportedly drawn up a long list of target men for a more direct plan B.
Batshuayi is said to be low on confidence and lacking the killer instinct needed to make an impact from the bench or as a reliable starter when, as currently, Alvaro Morata is out injured. 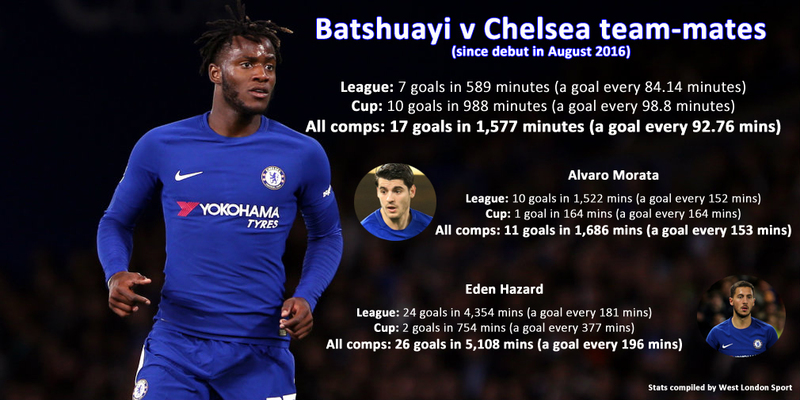 But a closer look at the stats suggest Chelsea should stick with Batshuayi – because he has quite a remarkable goal return for his limited time on the pitch, particularly when compared to Morata and Eden Hazard. In fact, of the top performing frontmen since the start of last season, only Harry Kane has a better minutes-per-goal ratio in all competitions. And what of Edin Dzeko and Olivier Giroud, said to be top of Chelsea’s wanted list? 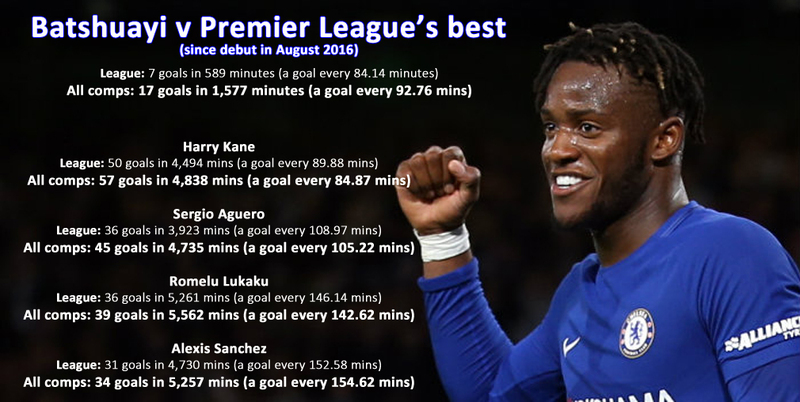 Well, Batshuayi is outperforming them too.